The NHL trade deadline is like Christmas for hockey fans. There is always something exciting that can happen for teams that are thinking of the playoffs and for teams that are hoping for a top draft pick. The hockey fan in me wants the Toronto Maple Leafs to make a big splash at the deadline, but that won’t likely be the case. As fans, we always want to see our team do something at the deadline. Trade some veterans for future pieces or add that one extra player that will make all the difference in the playoffs. With this year’s trade deadline, the best thing the Leafs can do is nothing. Before getting into reasons why the Leafs shouldn’t make any trades there are two league-wide issues why it will be a quiet deadline. Firstly, there aren’t many teams that are truly out of the playoff race. 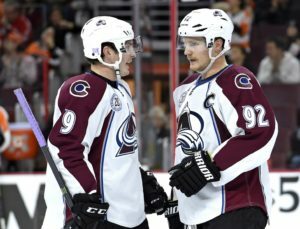 When looking at the standings there are only two teams that are positively out of playoff contention: the Arizona Coyotes and the Colorado Avalanche. The Dallas Stars, third last in the Western Conference, are only six points out of being tied for a Wildcard spot. The Eastern Conference is even worse. The last-place Eastern Conference team is the Carolina Hurricanes and they are ten points out of a Wildcard spot with four games in hand. The rest of the conference is packed with teams that are only a few points out of the Wildcard spot. With that, it means there are only two true sellers at the deadline in Arizona and Colorado. Every other team can still make the playoffs. Teams need to decide over the next week if they are going to be buyers or sellers at the trade deadline. If you’re only a handful of points out like the New Jersey Devils, third last in the Eastern Conference, can you confidently say that you’ll be selling at the deadline? With the way the standings are, it doesn’t look like many teams will be trading away key players if the playoffs are still within reach. The second issue is the coming Expansion Draft. Teams can only protect so many players, while also needing to expose a minimum number of players. They can protect either seven forwards, three defensemen and one goalie or eight skaters and one goalie. Also, any player with a no-movement clause must be protected unless the player decides to waive their clause. This puts teams in a situation where they need to be aware of who they want to protect for the expansion draft. So if a team adds a player that has a contract through next season, there’s a risk they lose that player. Protecting a newly added player could also mean exposing another player. Every team is going to lose one player, but that doesn’t mean they will risk losing a key player. Now, all that together creates a very quiet trade deadline. Some teams may make a trade so that they don’t lose a player for nothing at the expansion draft, but then there aren’t many teams in the position to make a major deal. Teams also need to deal with the salary cap. With that out of the way, we can get into the specifics of why the Leafs won’t be busy at the trade deadline. The Leafs always seem to be in the running for any player that is rumored to be traded, including any of the major pieces in Colorado to Kevin Shattenkirk and even Brian Boyle. The only way the Leafs make a trade at this point in the season is if the player they acquire is going to be part of their plan moving forward. Despite being around a playoff spot the Leafs are still rebuilding and restocking their prospect pool. The team spent a decade trading picks and prospects for quick results in a “win now” attitude. So why would they do that now? This is the way I look at it is we have a long-term project here, and we understand that. If you can ever improve your team for the future [you do it]. I think it’s way different than when you think you’re going to win the Cup and have an opportunity and you need more bodies. That’s not our situation whatsoever. 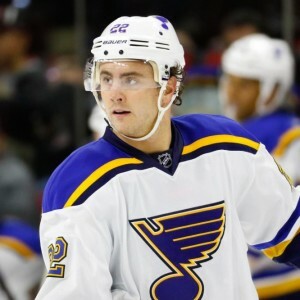 So acquiring a player like Shattenkirk would only make sense for the Leafs if it was for a reasonable price and they could extend Shattenkirk’s contract once they acquire him. Otherwise, the Leafs are better off waiting until Shattenkirk, presumably, goes to free agency and sign him then. The Leafs still aren’t cemented as a playoff team. There are too many teams behind them by only a few points. So it would be foolish to make a trade based on the presumption that they’ll make the playoffs. With the Leafs not looking like buyers at the trade deadline it would put them as sellers, right? Well, the issue of playoffs comes up again. 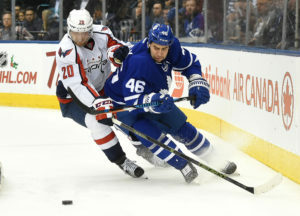 Any trade involving James van Riemsdyk makes no sense for the team when they are within reach of the playoffs. And with the expansion draft coming it seems to have made teams hesitant to do any major trades. If the Leafs do trade a player of van Riemsdyk’s calibre it will be after the expansion draft once the dust has settled. The only players that would make sense for the Leafs to trade at the deadline would be players like Roman Polak or Matt Hunwick. The Leafs could probably get some mid to late round draft picks and it wouldn’t change the Leafs’ playoff hopes. They both have replacements waiting on the sidelines in Martin Marincin and Alexey Marchenko. Aside from those two, the Leafs don’t have much they could trade away at the moment that wouldn’t have better results in a deal over the summer. The most the Leafs should look to do at the trade deadline, is along the lines of the recent Viktor Loov for Sergey Kalinin trade. If you need more evidence that the Leafs will be quiet at the trade deadline then just look to recent interviews with Babcock. While on TSN’s Leafs Lunch, Babcock gave Leafs fans some advice on the trade deadline. But right now if anybody’s looking for us to be the news on trade deadline day, I’d find something else to do. So with that said, don’t get your hopes up next week when the trade deadline rolls around. Situations around the league point to it being a quiet deadline as well as the Leafs’ coach.